Scott Yaruss joins Peter Reitzes to discuss if articulation and phonology treatment can cause or exacerbate stuttering. At the end of the episode, Dr. Yaruss is asked briefly to discuss the related topic of bilingualism and stuttering. 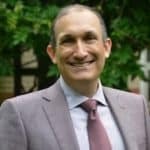 J. Scott Yaruss, PhD, CCC-SLP, BCS-F, F-ASHA is an Associate Professor in Speech-Language Pathology at the University of Pittsburgh and will soon start as Professor of Communicative Sciences and Disorders at Michigan State University. Dr. Yaruss has published more than 150 research papers, chapters, booklets, or articles and given more than 450 academic and training presentations at local, national, and international conferences. He is co-author of the Overall Assessment of the Speaker’s Experience of Stuttering (OASES) and the forthcoming Early Childhood Stuttering Therapy: A Practical Guide. View Dr. Yaruss’ full curriculum vitae here. Byrd, C., Bedore, L., & Ramos, D. (2015). The disfluent speech of bilingual Spanish-English children: Considerations for differential diagnosis of stuttering. Language, Speech, and Hearing Services, in Schools, 46, 30-43. Comas, R. (1974). Tartamudez o espasmofemia funcional. Relato y aportes conceptuales. Revista Cubana de Pediatria, 46, 595-605. Logan, K.J. & LaSalle, L.R. (2003). Developing intervention programs for children with stuttering and concomitant impairments. Seminars in Speech and Language, 24(1), 13-19. Packman, A., Onslow, M., Reilly, S., Attanasio, J., & Shenker, R. (2009). Letter: Stuttering and bilingualism. Archives of Disease in Childhood, 94, 248. Dr. Scott Yaruss, PhD, CCC-SLP, BRS-FD, joins Peter Reitzes to discuss his recently published chapter titled What Does it Mean to Say that a Person Accepts Stuttering in Stuttering: Inspiring Stories and Professional Wisdom. J. SCOTT YARUSS is a StutterTalk adviser, a Board Recognized Fluency Specialist, a fellow of the American Speech Language Hearing Association, an associate professor and director of the Master’s Degree programs in Speech-Language Pathology in the Department of Communication Science and Disorders at the University of Pittsburgh. In addition to numerous articles, chapter and books, Dr. Yaruss has published the Overall Assessment of the Speaker’s Experience of Stuttering (OASES), a comprehensive evaluation tool for children, adolescents, and adults who stutter. He has been named Speech-Language Pathologist of the Year by the National Stuttering Association. Nippold, M. (2011). Stuttering in school-age children: A call for treatment research. Language, Speech, and Hearing Services in Schools, 42, 99-101. Roe, R. (2012). StutterTalk episode 368. J Scott Yaruss PhD, CCC-SLP and Bob Quesal PhD, CCC-SLP join Peter Reitzes and Eric Jackson at the National Stuttering Association’s 2010 annual conference in Cleveland, Ohio. We discuss quality of life issues and the OASES (The Overall Assessment of the Speaker’s Experience of Stuttering). Scott Yaruss, Ph.D. CCC-SLP is interviewed by Peter Reitzes and Eric Jackson about his research which provides evidence regarding the benefits of participating in self help groups.